The Impala's competition is heating up, so unless you're content with the Chevy's shape and price, take a look at the newest Azera and Taurus--or the new Avalon due this summer. The new Impala, by the way, is on sale early next year as a 2014 model. Dated in styling, safety, and comfort, the 2013 Chevrolet Impala still earns credit for interior space, highway gas mileage, and low prices. The Chevrolet Impala has been caught in a time warp. New in 2004, but even then a revamp of an existing platform, it's been riding on fleet sales for more than a decade, while the competition--Azera, Avalon, Taurus, and 300--have been getting stronger, and growing their followings. For 2013, the Impala keeps its pace unchanged, prepping instead for a new sedan due in the 2014 model year. As the final version of a model that's long since passed its prime, the Impala still provides good interior space and a low price, which is why it sells well to fleet buyers. Last year's updated powertrain helps press its case, too. The new 303-horsepower, 3.6-liter V-6 is an expensively engineered piece of hardware that's also used in Cadillac's lineup, and it pairs well with a new six-speed transmission. While we haven't yet driven the Impala since this powertrain transplant, we expect performance and responsiveness to be much-improved. Unfortunately, not enough has changed regarding the Impala's interior, or handling, or features to steer shoppers back to the fold. The large front-wheel-drive sedan looks bland from the outside, and inside, the plain, plasticky dash isn't any better--a reminder of how the company's interiors used to be, before the much more stylish Malibu and Cruze hit the market. From what we've already seen, these shortcomings have been addressed with the 2014 Chevy Impala that's due early next year. 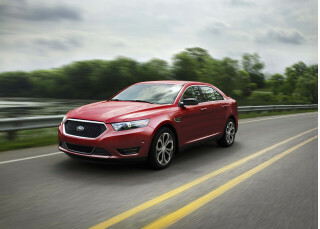 Until then, the '13 model's mostly hanging around for continuity's sake, and for the folks who buy cars by the dozen. Self-fulfilling prophecy fulfilled: the Impala looks like the rental car it's become. The Impala's look hasn't become familiar over the years--it started out life that way, back in the early 2000s. And in the years since, it's grown so familiar, it's as invisible on the road as Toyota's Camry--a car that sells twice as many units each year. The Impala's shape is penned not to offend. Not contemporary, not fresh, it's nonetheless fine to look at, not intentionally obtuse in the way some new four-doors have become. The nose faintly echoes other newer Chevrolets, and the curve of the roofline looks like the sum of the past generation of aero-smoothed sedans. 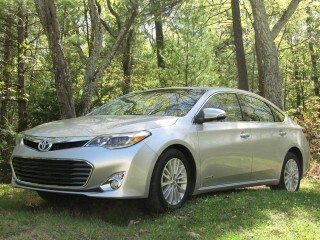 Generic doesn't sell at the retail level in cars--even the Toyota Avalon is breaking the mold with its 2013 model--and to that point, the next Impala gets a lot more drama infused into its rear quarters, too. This one? It was born for the fleet, and it'll retire into one. Handling is on the soft, unengaging side, but the Impala's drivetrain is smooth and eager. Last year's upgrade of the Impala's drivetrain seemed like an odd bit of progress for an aging sedan about to be replaced. Since the 2012 step-up to a 3.6-liter V-6, we've learned that the 2014 Impala will share that engine and its six-speed transmission--so it's no surprise that the combination carries over in the 2013 Impala unchanged. This powertrain replaced a pair of low-aspiration engines, one of them paired to a four-speed automatic, and the new team is one of GM's most advanced pairings. Also found in the Cadillac lineup, the engine produces 300 horsepower and 262 pound-feet of torque, and can be run on regular unleaded gas. It's been difficult to find the uprated Impala for test drives, but in our experience with other GM vehicles in the same size and weight class, the powertrain's been a good example of smooth, quiet operation. Replacing those old pushrod V-6 engines wouldn't make that a difficult task, but the 3.6-liter six has to meet the challenge brought by the Hyundai Azera's 3.3-liter six and the Toyota Avalon's 3.5-liter V-6--and in our recent test drives, the field seems to have drawn much closer. Thanks to the wider gear span of the six-speed, real-world acceleration and passing should be stronger in the Impala, too. We'll update these driving impressions as soon as we can track down one of these latest examples. 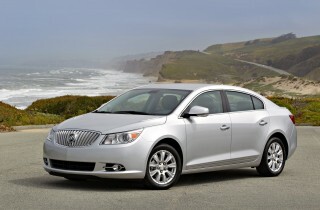 It's spacious, with a large trunk, but the Impala's seats need more refinement. The older design of the Impala's cabin doesn't affect the space that's available for passengers, or the trunk room offered up for their cargo. It's surpassed in fit and finish by newer designs, though, which offer better seats, finer materials and more in-car storage. The Impala's seats have drawn comparison to those in GM's great Silverado trucks. They're wide and flat, without any side bolstering and with cushy, springy foam feel. That's good for truck drivers who need the extra damping from ride motions, but it doesn't feel as good in a sedan after hours of driving. 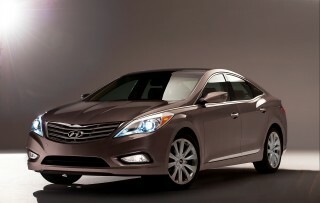 Head and shoulder room are ample, but the Hyundai Azera and Toyota Avalon offer more leg room. Overall, the Impala's cabin is quiet and refined, but it's a halfhearted attempt in the details, straddling the line between commercial-grade and retail-grade. There's a simple, straight-across dash, unimpressive finishes, and somewhat drab look to it all--although Chevy has upgraded the faux-woodgrain trim and added a leather-wrapped steering wheel and shift knob to some models. Crash test scores are good, but not great; the Impala lacks advanced safety options. The Chevy Impala's architecture is nearly a classic at this point in time, dating back nearly 25 years if you trace its lineage to the W-cars of the 1980s. That said, its safety record has held up remarkably well, with good but not great crash-test scores making up for a lack of advanced safety features. In the National Highway Traffic Safety Administration (NHTSA) crash tests, the Impala fares quite well, with four out of five stars in both frontal and side impact. The Insurance Institute for Highway Safety (IIHS) gives the Impala top 'good' ratings for frontal and side impact, but this Chevy earns only 'acceptable' for rear impact and roof strength. Standard features have been kept up-to-date. The 2013 Impala comes with standard dual front, side and curtain airbags; anti-lock brakes, traction and stability control; and the OnStar emergency and concierge system is of course included. It's the modern active-safety options that are lacking--features like blind-spot systems, parking sensors, or rearview cameras, that have been trickling down to the mass market the past couple of model years. 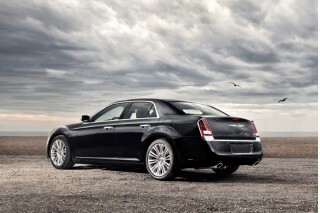 Those are planned for the new Impala that arrives as a 2014 model next year. The current Impala lacks a USB port, a navigation system, and other popular options. When the next new Impala appears in the 2014 model year, it'll update its infotainment feature set with the latest in connectivity and entertainment. The 2013 Impala, the last year of a long-running model, doesn't have many of those features, putting it at a disadvantage to cars like the current Ford Taurus and Hyundai Azera. 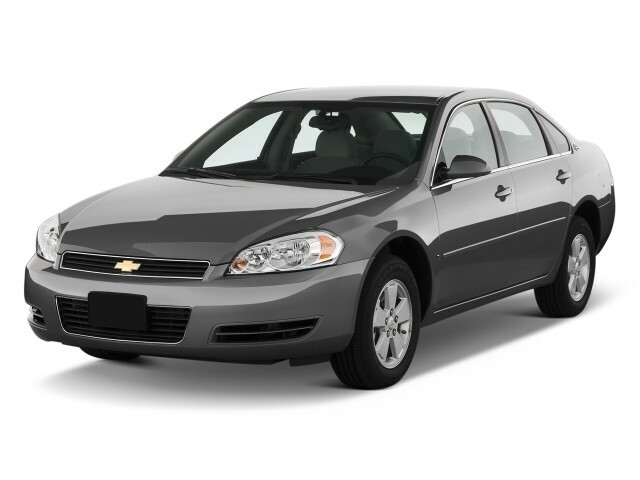 The base Impala does have a fair amount of standard features, especially for its price. Standard features on the basic Impala LS include power windows and mirrors; cruise control; an AM/FM/CD player with satellite radio; steering-wheel controls; Bluetooth and keyless entry. This version's primarily intended for fleet use, so it omits some key features--things like power side mirrors and a folding rear bench seat. 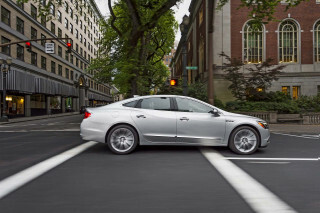 The Impala's gas mileage is on par with other full-size sedans. Last year, Chevy's full-size Impala received a powertrain transplant. 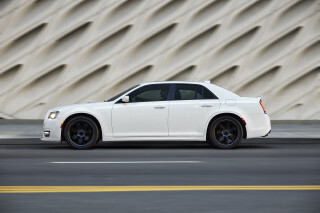 The new 3.6-liter V-6 brought with it 303 horsepower and competitive fuel economy numbers that aren't much better than prior versions of the big sedan, but remain the equal of vehicles like the Hyundai Azera and Toyota Avalon. Those sedans earn EPA highway ratings of about 29 miles per gallon, and the Impala ranks slightly higher. The EPA puts the Chevy sedan at 18 miles per gallon on the city cycle, and 30 miles per gallon on the highway. That's down 1 mpg from the previous Impala, but 1 mpg higher on the highway cycle. We'd trade the current powertrain's smoothness and acceleration for the wider economy spread and two additional transmission gears any day. The Impala remains E85 (85 percent ethanol) compatible, although running on the fuel it gets just 13/22 mpg.